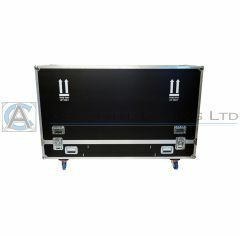 The Sony screen flight case range from Absolute Casing Ltd keeps your screen safe and secure throughout transportation and storage. The Sony TV flight case range has been carefully designed to offer optimum protection to your Plasma, LED and LCD screens. Our Sony TV travel cases are available in a variety of sizes and are made bespoke with custom foam lining to suit your Sony screen model. The Sony screen flight case from Absolute Casing Ltd is available in a single, double or triple configuration to offer maximum storage space. Hard-wearing and durable, our Sony shipping cases provide your screen with protection from wear and tear. Screen printed logos and text. Powder coated extrusions and furniture. 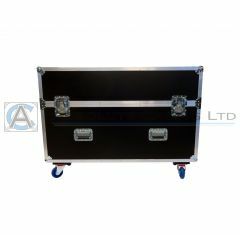 Please note: We do not keep stock of our TV flight cases, they are made to order. Our standard lead time is 4-5 working days. Our Sony flight cases are manufactured to fit your exact screen model and size, please contact us if you cannot see the correct size for your screen below.